Posted in: Jim Serba, mike serba, mike serba memorial golf tournament, Silver Creek Pre-school, Uncategorized. Tagged: Jim Serba, mike serba, mike serba memorial golf tournament, silver creek pre-school. 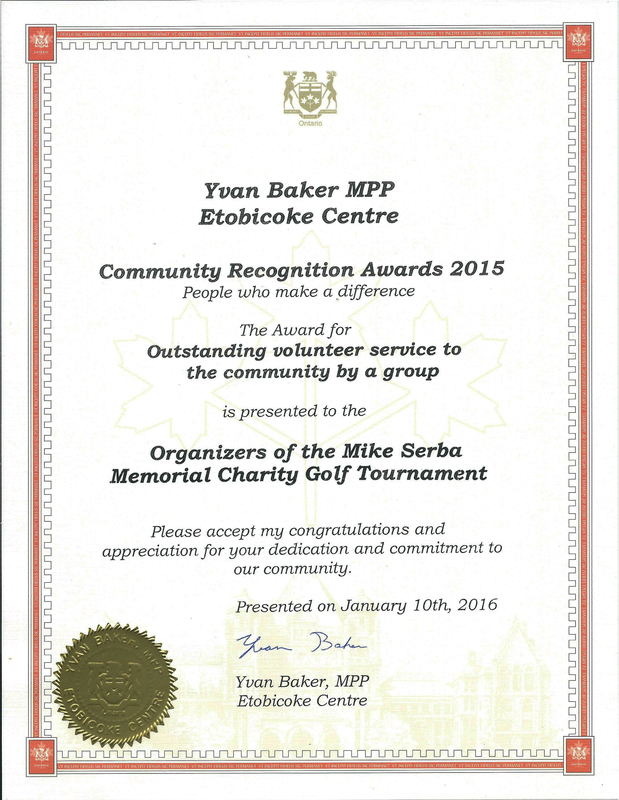 On January 10th, 2016 The Mike Serba Memorial Golf Tournament received a Community Service Award presented by Yvan Baker, the Provincial MPP for Etobicoke Centre at his annual New Year’s Levee. It came as a complete surprise when I received notice by mail from Yvan Baker’s office. Quite frankly, I almost threw it out without opening the letter as I my first reaction was that this was just some Christmas season self promotion from a local politician. 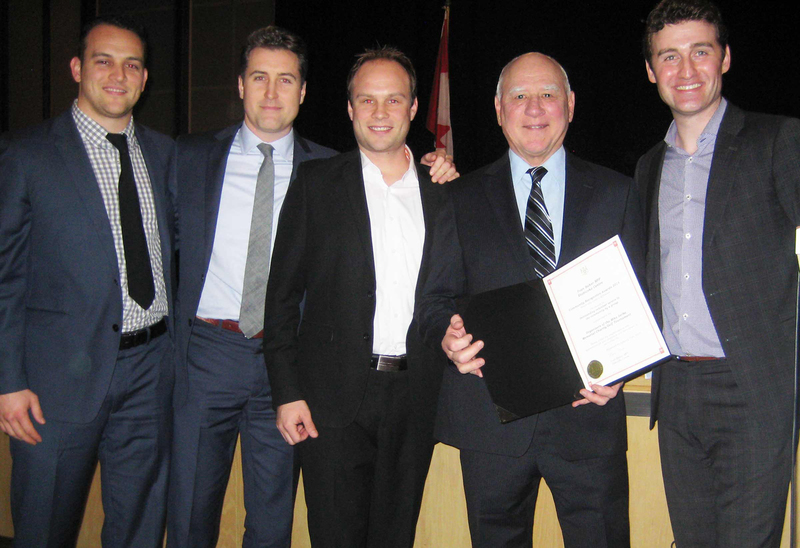 Without any notice, Joe Polito took it upon himself to nominate our tourney for this recognition and a community-based selection committee made the final decisions. Over the past nine years; with help from our wonderful supporters, we have been able to donate $250,000.00 to charities in aid of children. When the Tourney was first planned, it was never expected that we would have this continued success and especially unexpected was the fund raising success which has allowed us to make significant donations resulting in the doing of so much good. Our success is really a tribute to all of our wonderful supporters and this Community Service Award is absolutely shared with all of you. This One’s For All Of You Too!